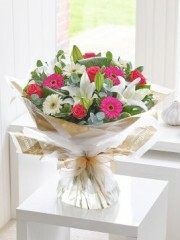 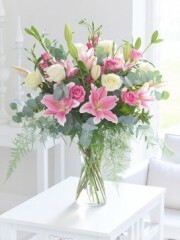 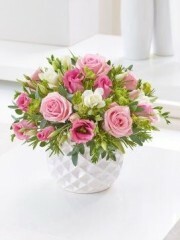 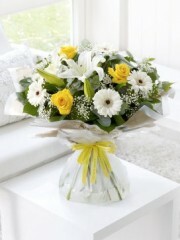 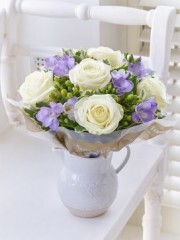 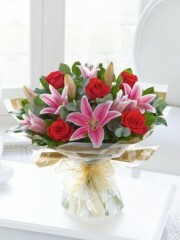 Dundee florist have lots of different bouquets including roses, or we have bouquets that are solely made up of roses. 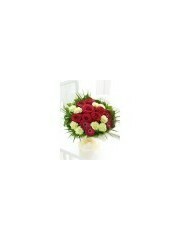 With many colours and varieties of roses Dundee flowers can create something exquisite that will make the perfect home delivered gift. 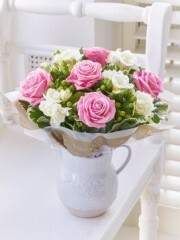 Dundee florist recommend roses for the outstanding beauty, they are a timeless classic and we can beautifully present them in various different ways. 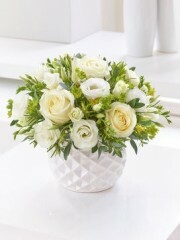 Our team of skilled florist have worked with flowers for many years and know the importance of freshness and quality in roses. 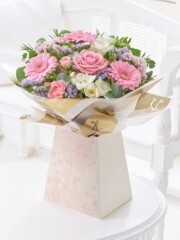 We at Dundee flower pride ourselves in high quality and fresh flowers, speedy delivery, and an expert knowledge of roses. 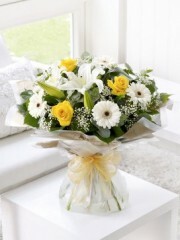 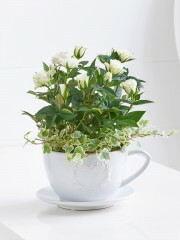 A range of gifts are available to be delivered as well as your flowers to add a little something extra and make the flowers stand out even more. 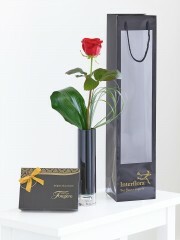 Roses and chocolates or even Champagne are the ultimate combination for a luxurious and beautiful experience. 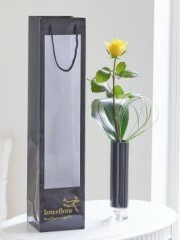 Another option from Dundee Flowers is out range of planted roses, have a look to see and if you think the reciprocate would love a rose they can keep and watch grow, this plant option might be perfect for them. 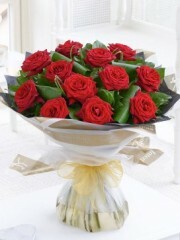 All of our roses can be delivered to anywhere in Dundee.